News Maker: Shahrukh Khan team up with Leonardo DiCaprio! Shahrukh Khan team up with Leonardo DiCaprio! 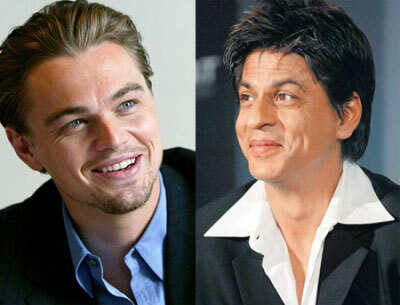 Shahrukh Khan team up with Leonardo DiCaprio! : Shahrukh Khan, the superstar of Hindi cinema, is finally set to make a foray into Hollywood with a film titled Xtrme City, co-starring Leonardo DiCaprio. The project will be jointly produced by Shahrukh and the acclaimed producer-director Martin Scorsese. Paul Schrader, the screenwriter of films like Taxi Driver and Raging Bull, will direct the movie. The film’s screenplay is penned jointly by Schrader and SRK’s good friend and author Mushtaq Sheikh. Sheikh also confirms that Scorsese has gone through the script and liked it very much. The project was discussed at length last year during the Berlin Film Festival where Shahrukh had gone with Mushtaq for the premiere of his film My Name Is Khan. Scorsese and DiCaprio too were there for their film Shutter Island. The quartet, along with Schrader, met on the sidelines of the festival and discussed a possible collaboration between two of the biggest film producing industries in the world. The result is Xtrme City that will have Shahrukh sharing the screen space with the Titanic star, DiCaprio.